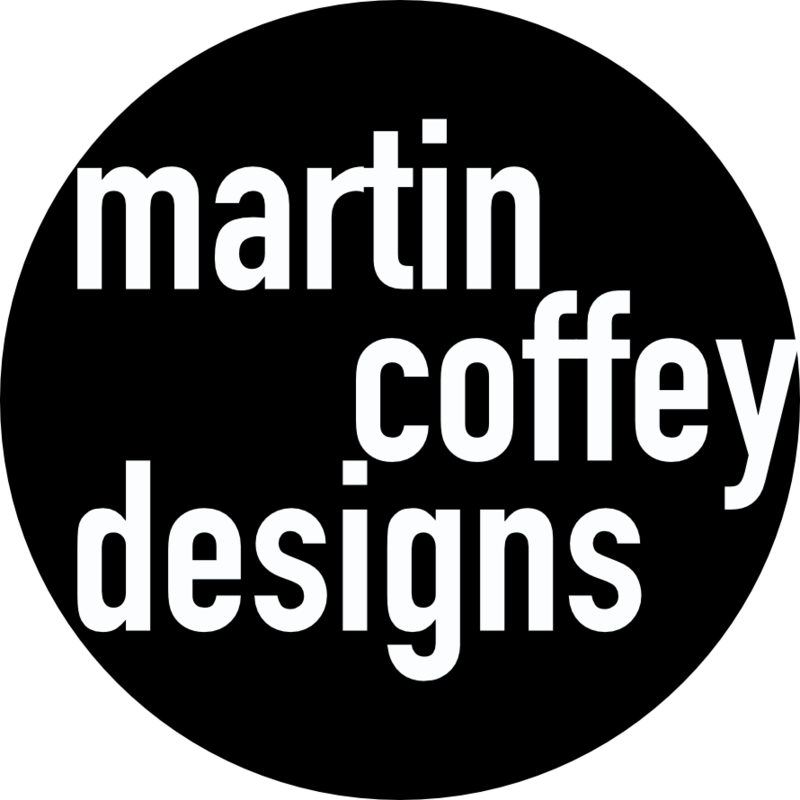 Martin Coffey has long been a lover of car designs and it shows in his eye-catching car illustrations, with a distinctive style that captures just the right amount of detail to highlight what makes the design special. 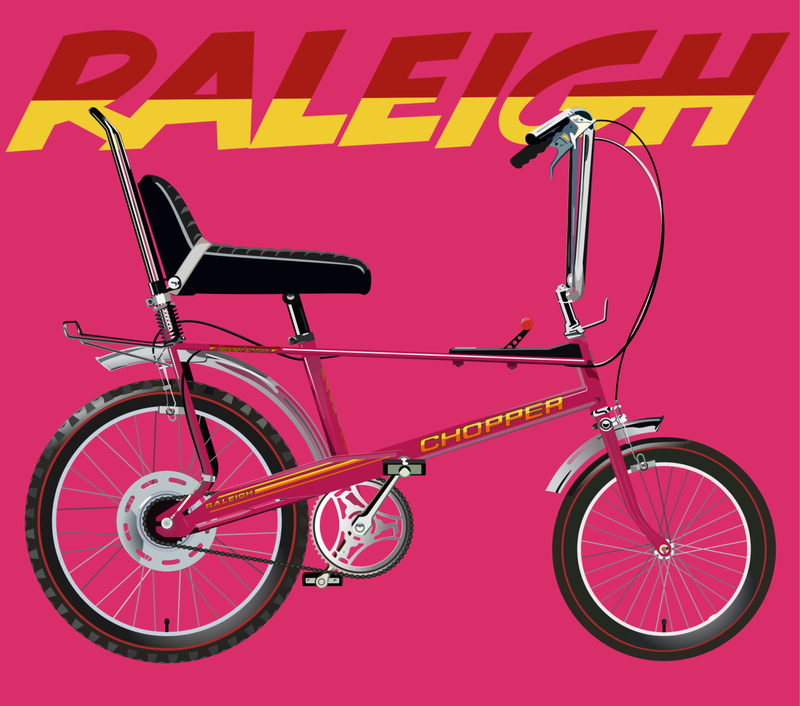 Here Martin shares a selection of his car artwork, together with a stunningly realised Raleigh Chopper, all created with Inkpad. "The E9 is my favourite BMW. 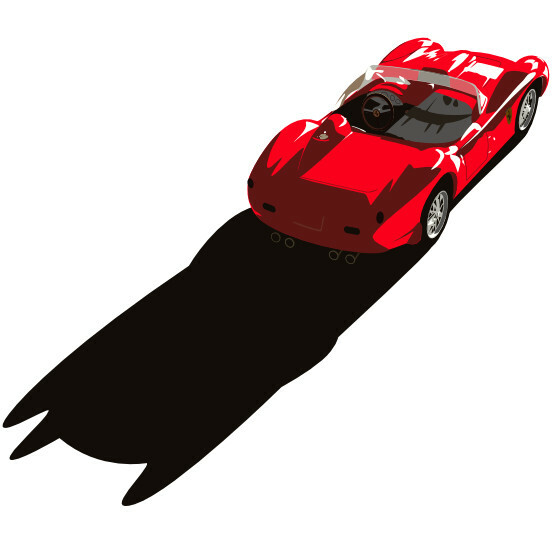 This is an illustration of a race car restored and raced by Blakeney Motorsports. To achieve the sharp lines and colours, I’ve avoided using any of the gradient or airbrush effects, drawing every reflection, shadow and highlight separately. Very time consuming as I wanted to capture every detail. I think there’s about 200 hours work in this one, but I was still learning!" "I bought a 1:43 scale die cast model at a toy fair. I wanted to simplify the detail, but still capture the essence of the beautiful shape. So I minimised the colour palette and vastly reduced the vectors drawn compared to the Chopper and BMW." Ford Galaxie & Porsche 911T. "I saw both of these at at classic car show in Stamford. It was a beautiful sunny day, and both of these stood out vibrantly in the sun. The 911 is an all time favourite design, small, poised elegant. 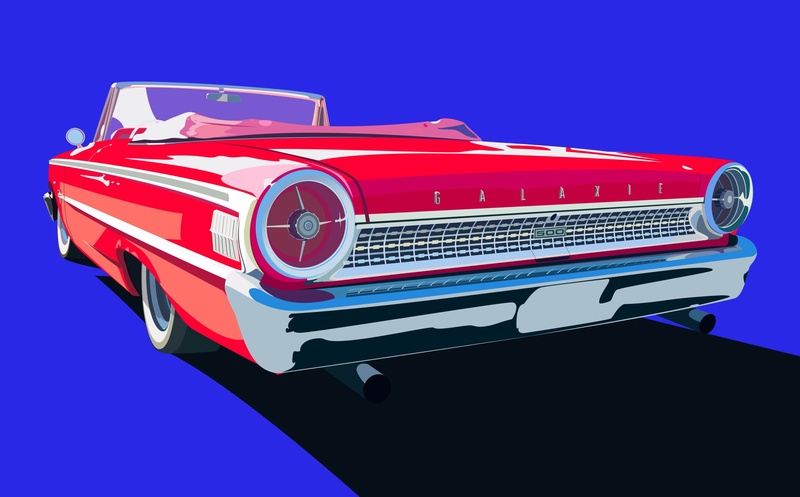 The Galaxie is totally over the top. 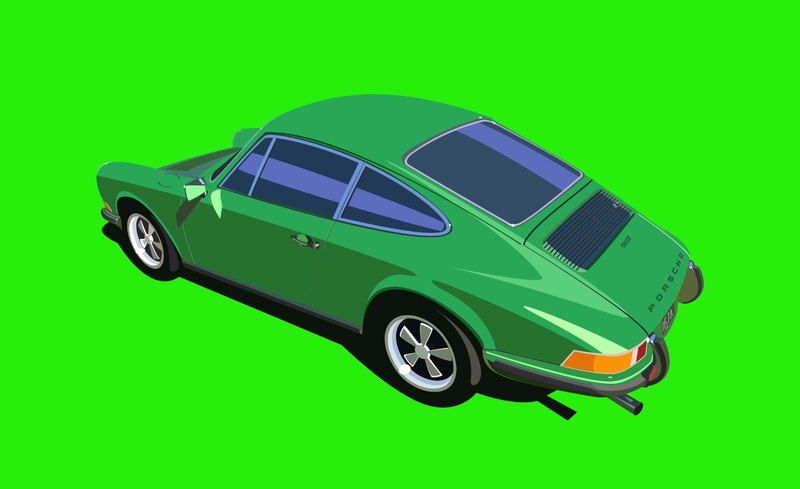 The 911 looked like it could be parked on the bonnet, it was that huge. But, it’s still well proportioned and has fabulous details like the jet engine styling of the tail lights." 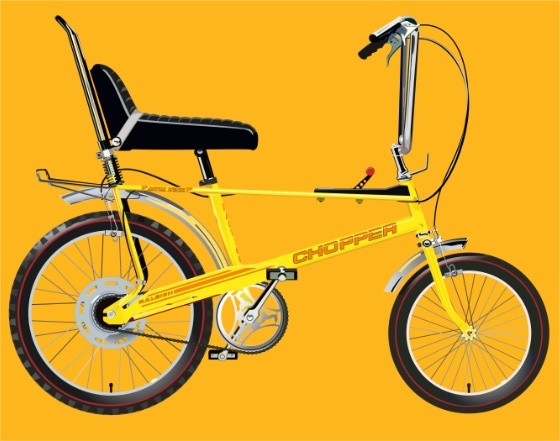 "A design icon if ever there was one, I loved this bike when I was a child, but never got one. I wanted to capture the bright colours of the frames and decals too, but in any colour. 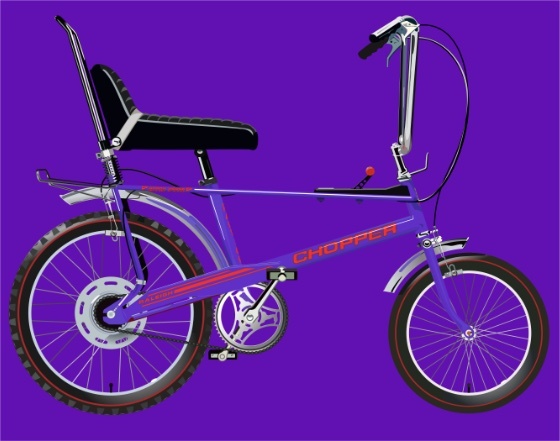 So, I experimented and the reflections and shadows are in separate layers, so I can change the colour of the frame with a simple swipe on the colour wheel, and viola, a Chopper in any colour!" "I actually work full time as a business process manager, but have been passionate about cars and in particular car design since childhood. 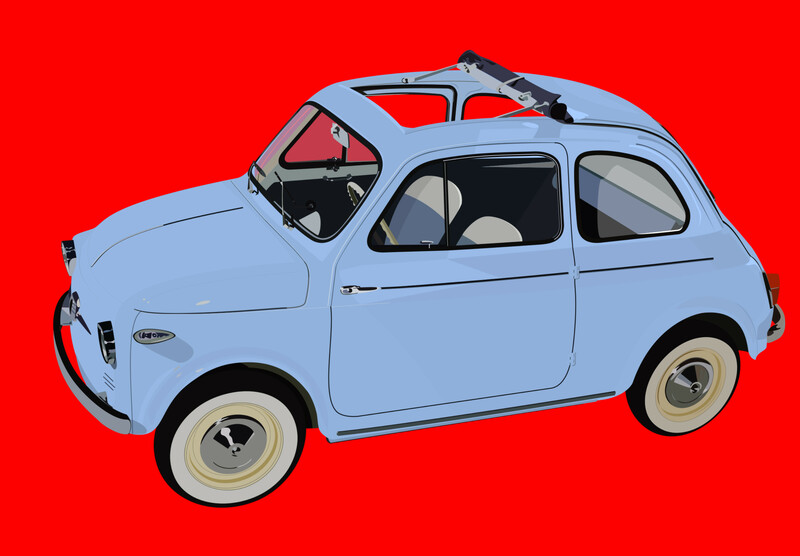 I’ve been sketching and photographing cars for years, but I always wanted to achieve a ‘pop art’ feel to my drawings, but really didn’t know how to do it. 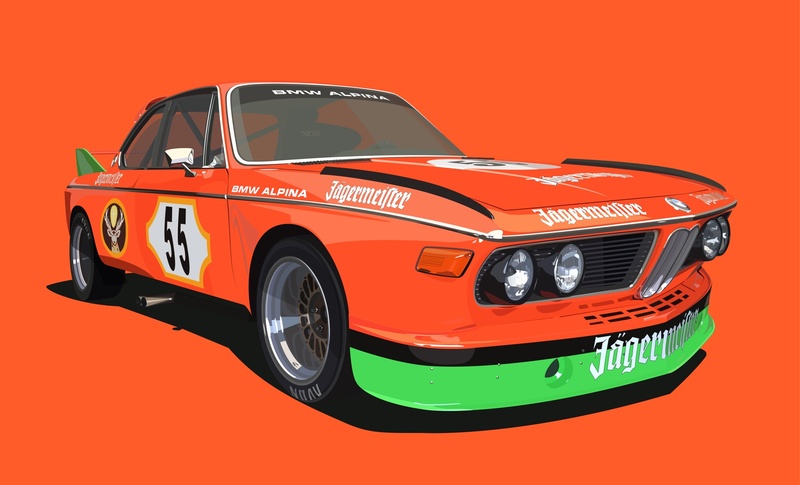 I’d admired the work of automotive artists like Tim Layzell and Ricardo Santos, and wanted to achieve similar eye popping images which really enhance the shapes of the cars." 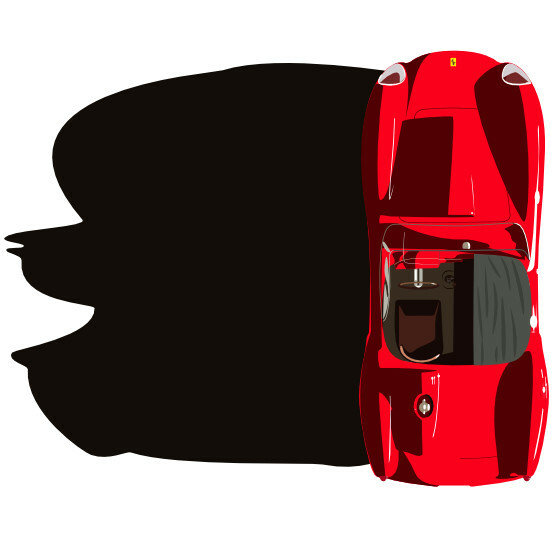 "A few years ago researching ideas on my iPad, I came across vector art and investigated tools, but they were eye-wateringly expensive for an amateur. Then I found Inkpad. There was a bit of a learning curve for me, but pretty soon I was producing simple work. I’m amazed at the power of Inkpad. I start with photographs, mostly mine but some work I research on the web. 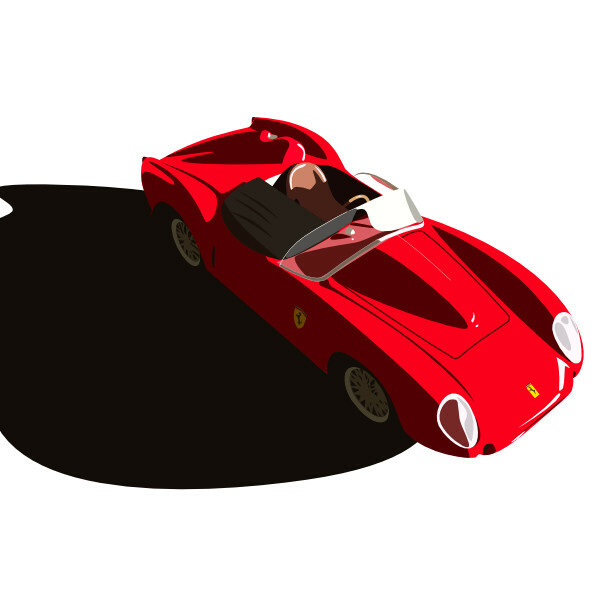 Using that as a background, I then start drawing the vectors and building up layers to achieve the desired effect." You can see more of Martin's amazing artwork on Instagram.